As anticipated, last week, Khadga Prasad (KP) Oli stepped down as Nepal’s prime minister after failing to withstand a no-confidence vote in parliament. Oli’s political demise was all but assured once the Communist Party of Nepal (Maoist-Centre) withdrew its support for his Communist Party of Nepal (Unified Marxist–Leninist) government. For China, Nepal’s ongoing political instability has been concerning. Last year, amid an unusually harsh period of deterioration in ties between Nepal and India following the promulgation of a new constitution in Nepal, Beijing and Kathmandu forged new ties. Critically, Oli had reached an important agreement with his Chinese counterpart to increase transport links between Nepal and China, helping the country end what many Nepali politicians saw as an over-reliance on India. Given the difficult-to-traverse terrain of the Himalayan border with China to the north, 98 percent of Nepal’s trade with a third country has to first traverse Indian territory. Despite recent turbulence, the two countries have a historically close relationship, dating back to a 1950 treaty of friendship; Nepali and Indian citizens enjoy freedom of movement across their border. Reacting to the no-confidence vote and Oli’s resignation thereafter, the Chinese foreign ministry was characteristically terse. “China has taken notice of the situation in Nepal,” Chinese Foreign Ministry spokesperson Lu Kang noted. “As a neighbor and friend, we sincerely hope that all Nepali parties would prioritize state and national interests and commit themselves to the stability and development of Nepal,” Lu added. China enshrine non-interference as a principle of its foreign ministry, often noting that the outcomes of elections in other countries are an “internal matter” not deserving extensive comments. The detailed response from the Chinese Foreign Ministry in this instance effectively signals that Beijing would like to see Oli’s successors stick to the deals that were reached earlier this year. China’s ambassador to Nepal, after the no-confidence vote, stressed Beijing’s “full support” for the country’s new government. Somewhat departing with its own principles of non-interference, reports from Kathmandu before the no-confidence vote noted that a Chinese delegation was lobbying the Maoists to retain support for Oli’s government. 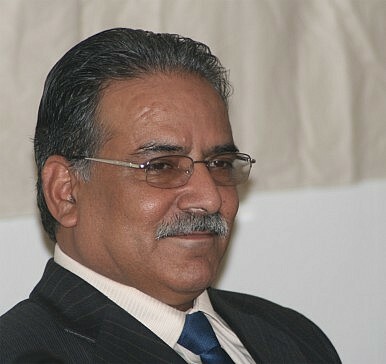 Prachanda, the head of the Maoists, now set to become the country’s prime minister for at least nine months, has sought to assuage Chinese concerns in the aftermath of the vote. Prachanda, who was prime minster of Nepal for a nine-month period from 2008 to 2009, is known to be skeptical of Nepal’s historic ties with India. During his 2008 term, Maoist leadership put pressure on him to end the “unequal” 1950 India-Nepal treaty. Prachanda, moreover, was the only Nepali prime minister in recent history (including Oli) to visit China before visiting India. Despite Prachanda’s assurances, Beijing may nonetheless see uncertainty ahead. Nepal’s political future after Oli’s resignation is far from certain. Prachanda will step up to the prime ministership in alliance with the Nepali Congress, the country’s largest party with close ties to India. “We must have good relations with our neighbours, India and China, and not use one against the other,” Deuba added.